Not afraid to explore the critical issues confronting today's teachers, Australian Teacher Magazine offers independent and compelling education coverage for Australia's primary and secondary school sector. Providing a spin free critique of education policy, reform and research, Teacher's news section tackles current debates pertaining to the profession. Teachers can gain practical ideas via the In The Classroom section, which details innovative programs and creative activities that teachers nationwide are incorporating into their classrooms. Vital for career development, Teacher also contains professional development and career information, exploring ways educators can update their teaching methods and modernise their classroom practice. 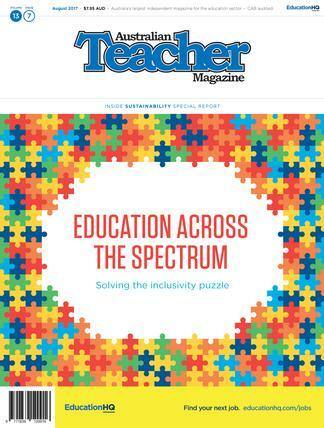 Teacher Magazine strives to provide teachers with a vehicle to voice their concerns and views by incorporating a letters page and regular columns written by practising teachers. - National education news - Classroom innovation and programs - Teacher achievements - Professional Development - Careers- Letters and Columns - Social scene. Fantastic read. Great to see an independent resource for all secondary school teachers that&apos;s not backed by government policy.